Mogen mensen reageren op je bericht, of liever niet? 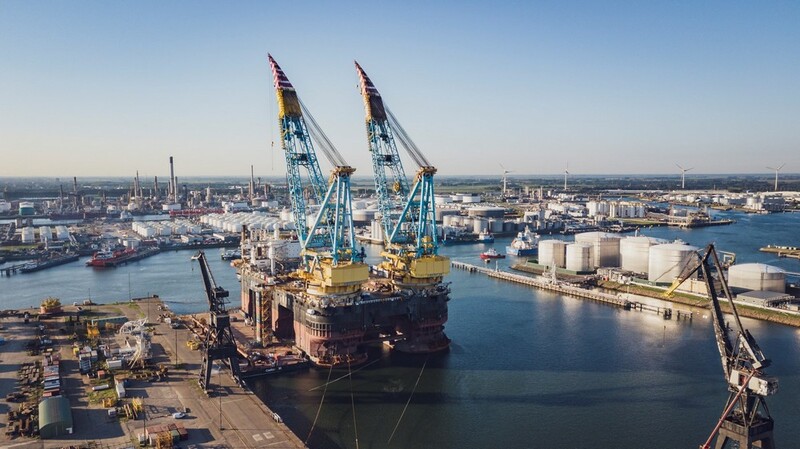 The Saipem 7000, one of the largest semi-submersible crane and pipelaying vessels in the world, has arrived at Damen Verolme Rotterdam (DVR) for a major upgrade of its current DP3 system to meet the new closed ring DP3 configuration and ABS EHS-P notation. Under DP3 EHS-P notation, the vessel will achieve an exceptional level of redundancy with 4 independent redundancy groups systems. 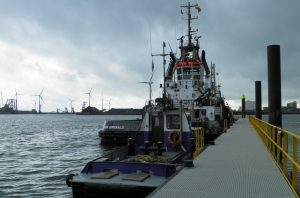 The project will include the upgrade and modification of the vessel’s power system for load sharing, the installation of MV, LV and control cables, renewal of the MV and LV switchboards and the motor control centres, the installation of uninterrupted power supplies (UPS) and the creation of an A60 compartment. 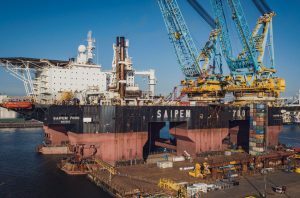 Detailed engineering is being executed by Damen Verolme Rotterdam in close cooperation with Saipem. When completed, the vessel’s DP3 system with its 12 thrusters will ensure that the vessel can maintain its position in even the most adverse weather conditions. 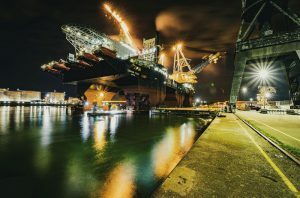 In addition, because the Saipem 7000 can accommodate up to 725 people, the vessel will be able to assist hook-up and commissioning activities as well as initial platform life support. 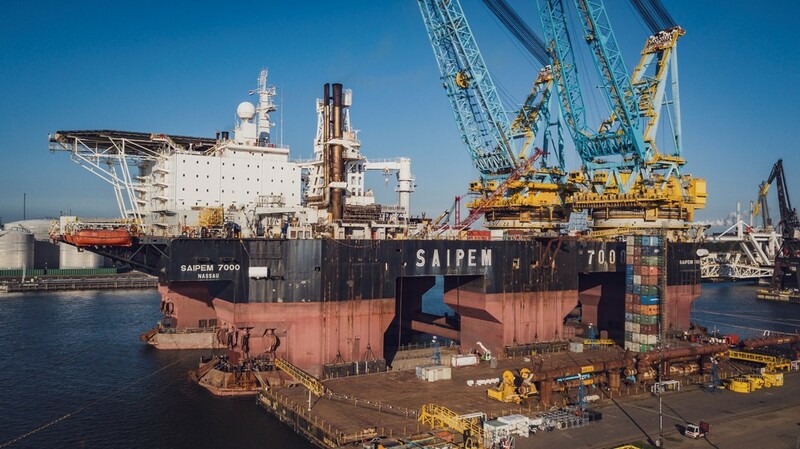 Altogether, this high specification means that the Saipem 7000 can be counted on to provide the highest level of reliability for conventional, deep and ultra-deep-water development projects. The works will take around six months, with completion due in Q1 2019. This represents a tight schedule, mainly due to the delivery and installation for the cables, the switchboards and the extensive structural modifications. 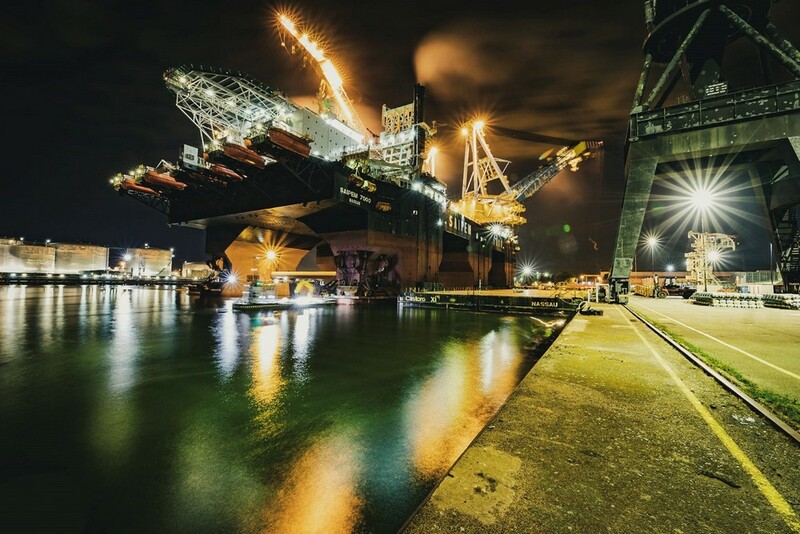 The Saipem 7000 is owned by Saipem S.p.A., one of the world leaders in services in the oil & gas market, and managed by Saipem Offshore Norway AS. An exceptionally capable offshore vessel, it can handle the entire scope of offshore construction developments from pipelaying in water depths greater than 2,000 metres to heavy lift operations of up to 14,000 tonnes. The Saipem 7000 has been a regular visitor to DVR over more than two decades, coming in for dry docking, special surveys, repairs, major modifications and mobilisation work. Its most recent visit was in April 2018 when she spent nine days undergoing mobilisation activities. 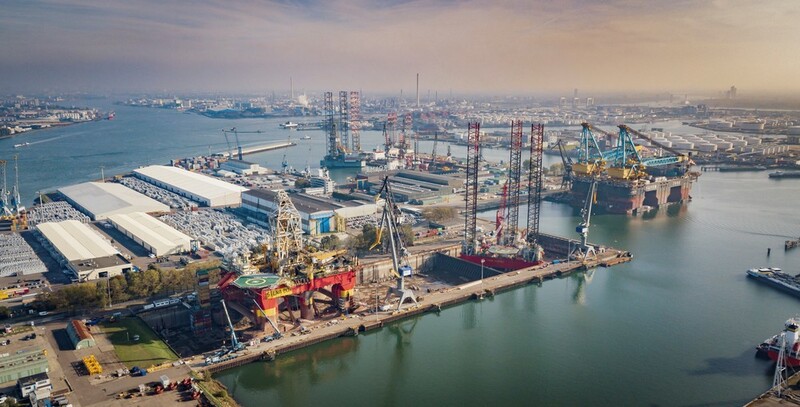 Damen Shipyards Group operates 35shipbuilding and repair yards, employing 12,000 people worldwide. Damen has delivered more than 6,000 vessels in more than 100 countries and delivers some 160 vessels annually to customers worldwide. Based on its unique, standardised ship-design concept Damen is able to guarantee consistent quality. Damen’s focus on standardisation, modular construction and keeping vessels in stock leads to short delivery times, low ‘total cost of ownership’, high resale values and reliable performance. Furthermore, Damen vessels are based on thorough R&D and proven technology. 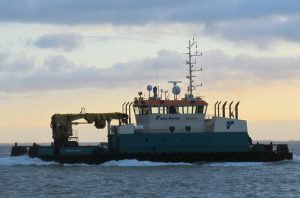 Damen offers a wide range of products, including tugs, workboats, naval and patrol vessels, high speed craft, cargo vessels, dredgers, vessels for the offshore industry, ferries, pontoons and superyachts. For nearly all vessel types Damen offers a broad range of services, including maintenance, spare parts delivery, training and the transfer of (shipbuilding) know-how. Damen also offers a variety of marine components, such as nozzles, rudders, winches, anchors, anchor chains and steel works. 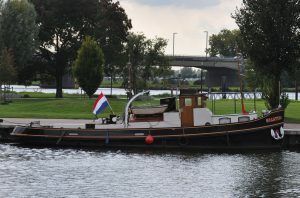 Damen Shiprepair & Conversion (DSC) has a worldwide network of eighteen repair and conversion yards of which twelve are located in North West Europe. 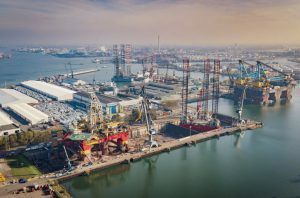 Facilities at the yards include more than 50 floating and (covered) drydocks, the largest of which is 420 x 90 metres, as well as slopes, ship lifts and indoor halls. 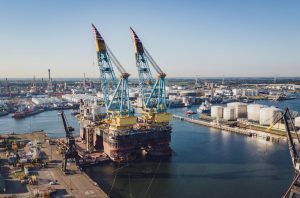 Projects range from the smallest simple repairs through Class’ maintenance to complex refits and the complete conversion of large offshore structures. 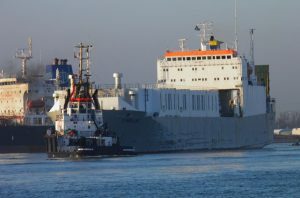 DSC completes around 1,300 repair and maintenance jobs annually, both at yards as well as in ports and during voyages.